Hi! 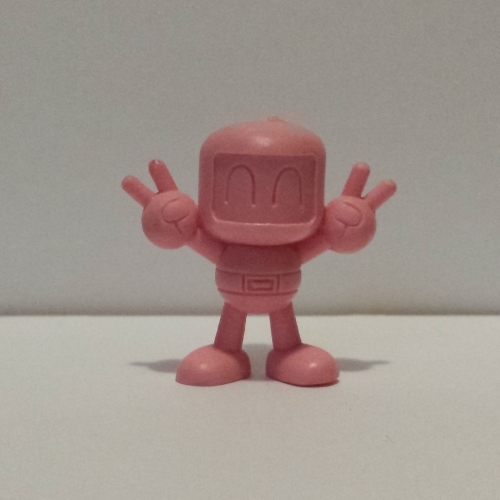 Welcome back to our ongoing catalogue of Bomberman keshi. This time, I’ll be covering one of two sets from Super Bomberman 3. This one centers primarily around the Battle Game, featuring the World Bombers, the playable characters in the game. Note that this is a Super Bomberman 3 set, so it excludes any World Bombers who only appeared in Super Bomberman Panic Bomber W. The set also includes a couple of other characters, which I’ll discuss in detail when I get to them. A full set can be seen to the left of the box. 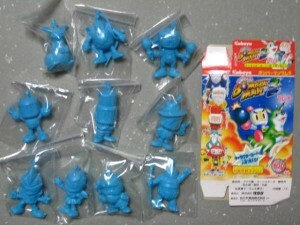 I’m also fairly certain that they could be obtained in gachapon machines, for a reason which I will state later. On one final note, all 20 figures could be obtained in both painted and unpainted variants, though I currently own only one of the painted versions. Anyway, let’s get on with it! 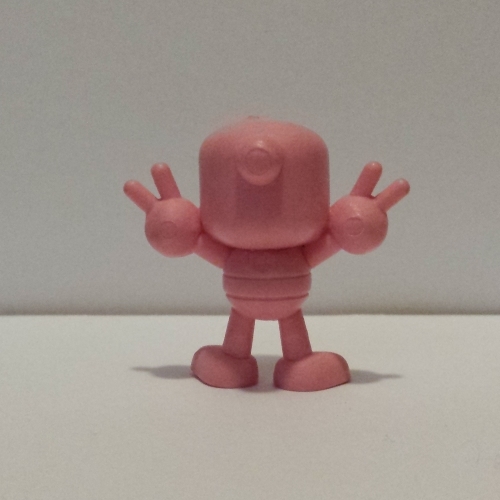 This is a generic sculpt of Bomberman, throwing a couple of V signs while looking super chuffed about himself. There’s not a whole lot to say about it. 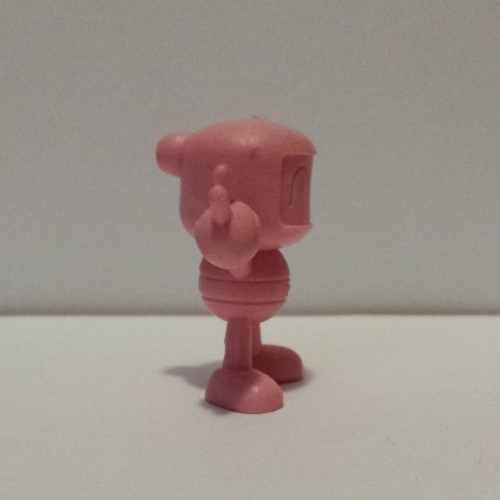 There’s another generic Bomberman figure from the SB3 line that is a part of the other set, which I will hopefully cover at some point in time. One important thing to note, not only about this figure but about all of the normal Bomberman figures, is the shape of his head. I don’t understand why, but a lot of people seem to think that Bomberman has a cube-shaped head, and they tend to draw him as such. It’s really ugly. Their heads are actually more of a cylindrical shape, which is why, when viewed from the side, you can still see their faces. 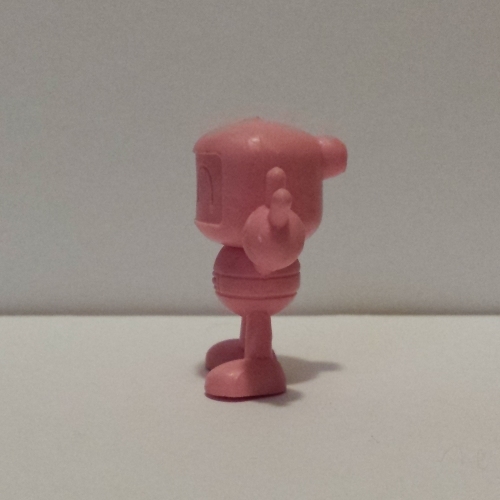 Interestingly, the painted version of this figure is actually Blue Bomberman instead of the standard White or Black! 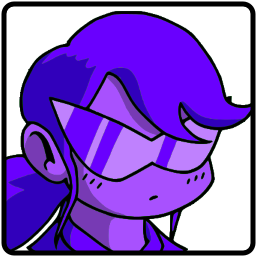 There’s more on the next few pages, so please keep reading!